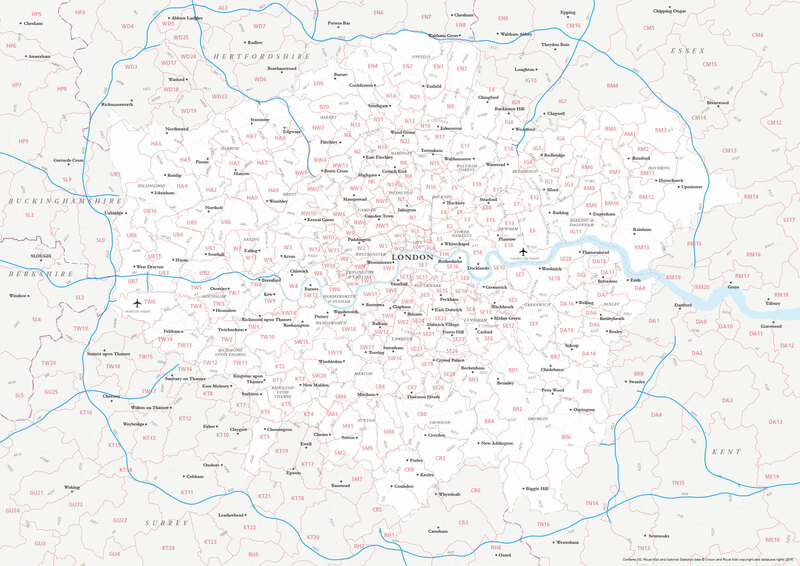 This map covers all the postcode districts in Greater London, shown in context with the London boroughs, post towns, major roads and surrounding counties. Five PDF styles are included, which you can use royalty-free either as they are or as a starting point for editing in Adobe Illustrator or other vector graphics software. 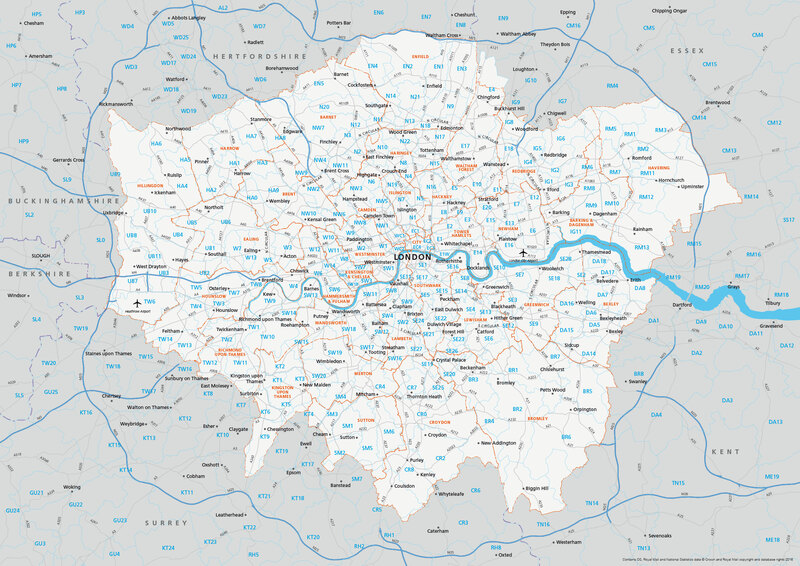 With easily selectable areas and all the labels in live, editable fonts, you can quickly change colours and scaling to suit your needs, such as colouring up different postcode districts in London to show salesforce coverage or delivery charges by postcode. 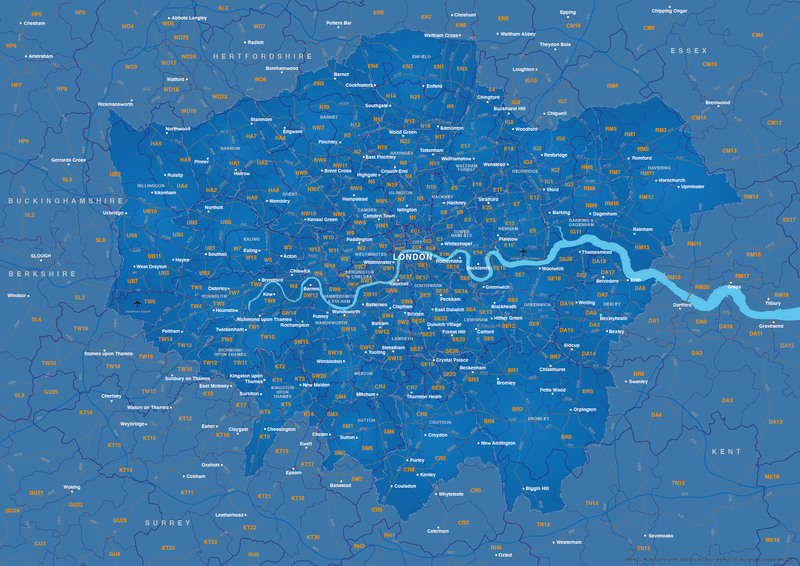 The vector base and PDFs are fully scalable so you can zoom in and out without loss of resolution. 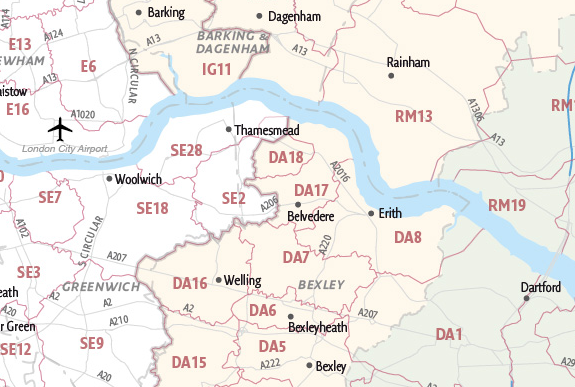 Detail from one of the five example styles included in the download package for the Greater London districts map. 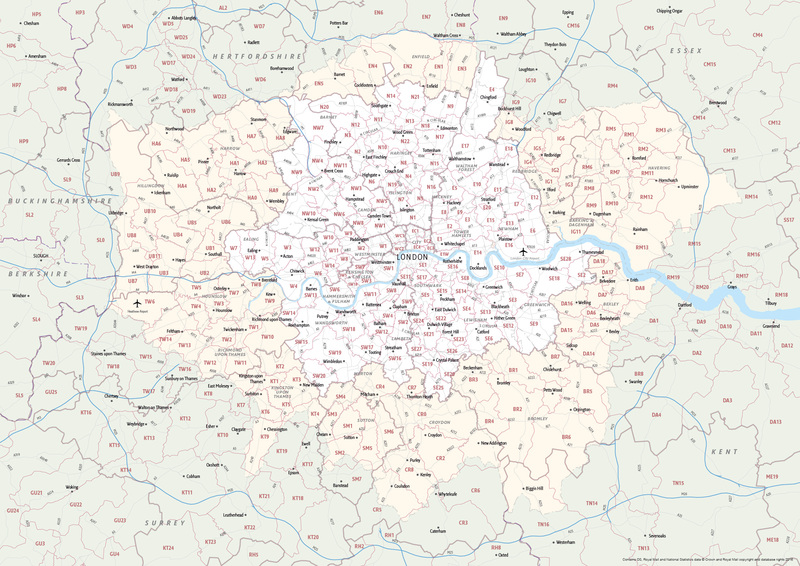 By popular demand, we have included approximate London borough boundaries on this postcodes map, plus the edges of the surrounding Home Counties. 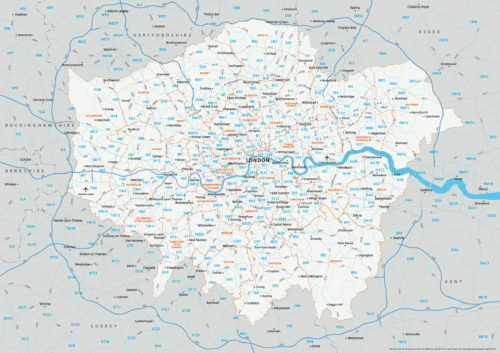 Royal Mail does not always follow borough or county boundaries with its postcode divisions, but our customers have told us that it helps to see the approximate shape of the London boroughs and also the Home Counties when using the postcodes map for planning purposes. 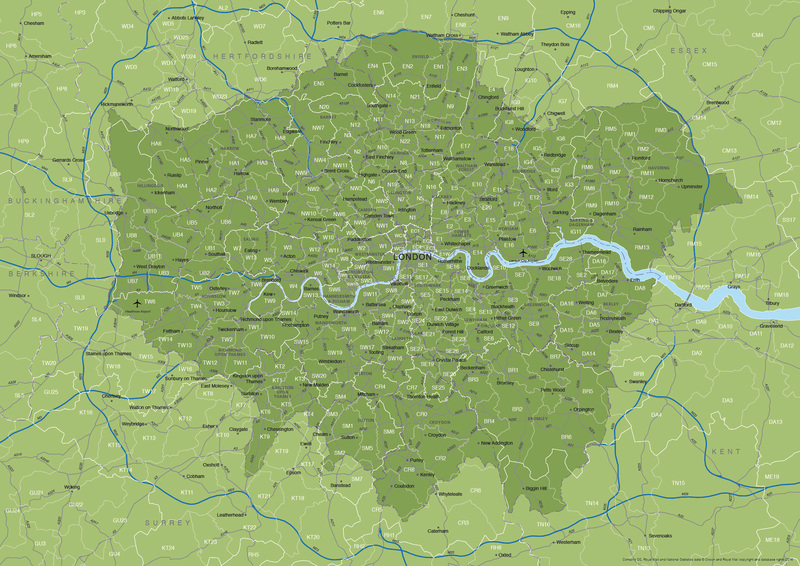 This styling version of the map uses colour to pick out the central London postcode districts (white) and also the larger shape of the London boroughs (yellow) set within the wider Greater London area (green). This version is one of five editable PDFs included in the download package. 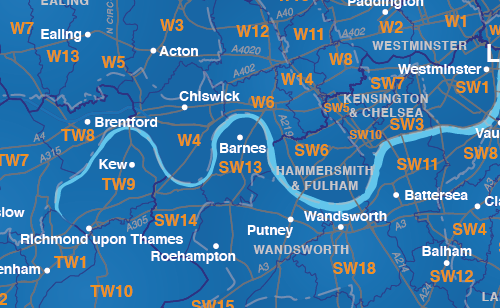 See previews of the full map versions above. Contains OS, Royal Mail and National Statistics data © Crown and Royal Mail copyright and database rights 2016. 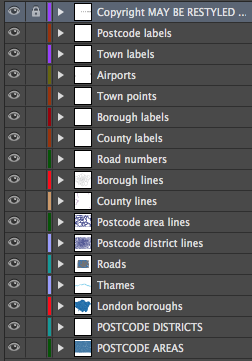 The files are also subject to the standard Maproom royalty free terms and conditions.